The LG G7 ThinQ is now available on Amazon in Platinum Grey and Aurora Black. Sprint has the G7 for $792 full price, or $33/month for 18 months on Sprint Flex. T-Mobile has it for the slightly-lower price of $750, or $30/month for two years (with a $30 down payment). U.S. Cellular is selling the G7 for $749.70, or $14.99/month for 30 months. Verizon has it for $27.08/month for 24 months, or $750 full price. Finally, the phone is supposed to be available on Project Fi, but the carrier still says it's coming soon. Moving onto retailers, Best Buy has the Sprint and Verizon models, but not an unlocked version. B&H is selling the Platinum and Black colors unlocked. LG says the G7 will also be sold on Amazon, but the listing doesn't appear to be live yet. ENGLEWOOD CLIFFS, N.J., June 1, 2018 /PRNewswire/ -- LG Electronics' new smartphone, the LG G7 ThinQ™, is now available in the US. 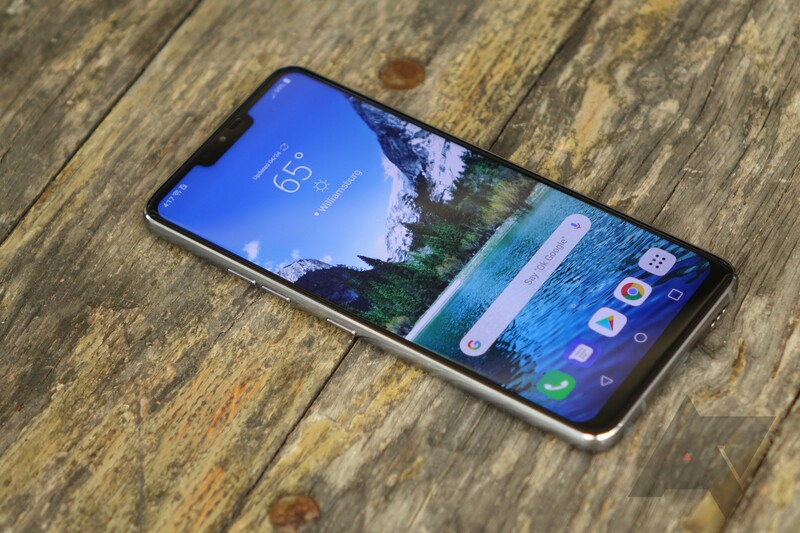 The newly designed G series phone from LG focuses on meaningful and convenient AI features and is available at major carriers and national retailers, including Amazon, Best Buy, B&H, Project Fi, Sprint, T-Mobile, U.S. Cellular and Verizon. iii Passed 14 different MIL-STD 810G Tests for durability conducted by an independent laboratory in U.S. that conforms to U.S. military standards. Device may not perform as tested in all conditions. Test performed in controlled environment. Do not attempt.